If you are planning a trip to New York City and are looking for a tour guide, that can present NYC as only a true New Yorker can. Lyudmila Tomashevskaya, a professional tour guide, and New York - the city that never sleeps - welcome you! The United States of America is certainly one of those countries that are worth visiting at least once in a lifetime. Despite being one of the most developed countries with a huge cultural and technological export that's shaping the modern world to a large degree, the USA is blessed with some of the most amazing landscapes, national parks, varying climate, cultural landmarks, scenic resorts and dynamic cities that will make your head spin. It's safe to say that it's a country of numerous contrasts that range from the tropical resorts in Florida to the glacial landscapes in Alaska and everything you can think of in-between. So if you're looking for an adventure that will take you through a multitude of landscapes, experiences, activities and impressions, you should definitely go to the USA. Being a relatively young country, the United States of America is nevertheless a country with a very rich cultural background, shaped by numerous waves of immigrants, who are still coming to the USA from all parts of the globe. Its cultural diversity and the ability to embrace all differences is certainly one of the main traits of the USA, and you will be able to experience this anywhere you go. From large cities with intense industrial, shopping, cultural and technological scenes to small remote communities that embrace self-realization and creativity, the renown American Dream can be seen everywhere. And if you're fond of nature, this country can offer you nearly any type of landscape you can think of. From the arid deserts and tropical resorts in the south, to the scenic planes and forests in the north, with numerous national parks, resorts and areas where you can enjoy all types of eco-tourism. USA is certainly a beautiful country and it offers a virtually limitless range of activities and experiences for a traveler to enjoy! Hello. My name is Joanna. I have lived in New York City for the past twenty years. I came out to New York to perform, and have performed in various off and off off Broadway theaters, musical cabaret shows, solo shows, and dinner theater. I became a New York City tour guide because it combined my love of performing, being with people, and my passion for this amazing city. All tours are altered per your choice and upon your taste, mood and budget. The house is sitting in a very secluded jungle on the slope of a volcano and surrounded by three hunting zones, so, hunting is also available. I am shooting boars just from my porch. Next to the house begins a hiking trial to a volcano (4-5 hours). The house is on a three acres of private botanical garden with exotic Hawaiian fruit trees. I am an international private travel guide. I'm a graduate of Flight Safety International as a commercial pilot. I have been an airline pilot and corporate aviation pilot for the past 7 years. 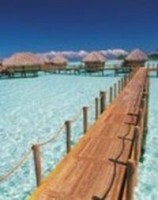 I have accompanied travelers around the world to resorts, vacations spots and business trips. Cape Cod Scenic Tours, based in the mid Cape, specializing in sightseeing tours throughout Cape Cod. Our sightseeing tours are fun filled and leave each visitor with great memories of Cape Cod. Cindy Ladd founded Cape Cod Scenic Tours with a vision of showing those visiting Cape Cod the most unique and scenic areas of this beautiful island. Each sightseeing tour will share some history and provide outdoor fun for all guests. I have lived in Florida for over 30 years and have traveled the state extensively. I live in Miami but I am very familiar with locations throughout the state. I am fluent in English and Spanish and a state licensed security officer. I can accompany you on your trip, act as your translator and personal security. I am also available as a private driver for your vehicle. My name is Natallia. I'm the owner and operator of the Colorado Personal Tour Guide Company - member of Colorado Springs Conventions & Visitors Bureau, Official Colorado Tourism Organization, National Federation of Tourist Guide Associations, and Rocky Mountain Guides Association.